ALBERT, Carl Bert, (cousin of Charles Wesley Vursell), a Representative from Oklahoma; born in North McAlester, Pittsburg County, Okla., May 10, 1908; graduated from McAlester High School, McAlester, Okla., 1927; graduated from the University of Oklahoma, Norman, Okla., 1931, and (having been awarded a Rhodes Scholarship) from Oxford University, Oxford, England, 1934; lawyer, private practice; United States Army, 1941-1946; awarded the Bronze Star; delegate, Democratic National Conventions, 1952, 1956, 1964, and 1968; elected as a Democrat to the Eightieth and to the fourteen succeeding Congresses (January 3, 1947-January 3, 1977); majority whip (Eighty-fourth through Eighty-seventh Congresses), majority leader (Eighty-seventh through Ninety-first Congresses), Speaker of the House of Representatives (Ninety-second through Ninety-fourth Congresses); was not a candidate for reelection to the Ninety-fifth Congress in 1976; died on February 4, 2000, in McAlester, Okla.; interment in Oak Hill Memorial Park, McAlester, Okla. Oral History: May 9, 1979, 383 pages. An oral history interview with Carl Albert. Papers: In the John N. Happy Camp Papers, 1967-1974, 120 cubic feet. Other authors include Carl Bert Albert. An inventory of the papers is available in the repository. Papers: In the Wilburn Cartwright Papers, ca. 1898-1951, 85 cubic feet. Other authors include William B. Bankhead. An inventory for the papers is available in the repository. Papers: In the Fred R. Harris Papers, 1963-1976, 360 cubic feet. Subjects covered in the papers include Carl Bert Albert. An inventory for the papers is available in the repository. Papers: In the Josh Lee Papers, 1928-1966, 10 cubic feet. Other authors include Carl Bert Albert. An inventory for the papers is available in the repository. Papers: In the Toby Morris Papers, 1946-1960, 99 cubic feet. Other authors include Carl Bert Albert. An inventory for the papers is available in the repository. Papers: In the Tom Steed Papers, ca. 1939-1981, 415 cubic feet. Subjects covered in the papers include Carl Bert Albert. A container list for the papers is available in the repository. Papers: In the Bella Abzug Papers, 1970-1976, approximately 554,100 items. Correspondents include Carl Albert. A finding aid for the papers is available in the repository and online. Papers: In the National Federation of Grain Cooperatives Records, 1946-1976, 53 cubic feet. Persons represented in the records include Carl Bert Albert. A partial box list for the records is available in the repository. Oral History: 1965, 37 pages. An oral history interview with Carl Bert Albert. Oral History: April 28, June 10, July 9, and August 13, 1969. 24, 16, 14, and 27 pages (4 tapes). Description in library. Papers: In the National Federation of Grain Cooperatives, 1946-1976, 53 cubic feet. Subjects covered include Carl Bert Albert. A partial box list for the papers is available in the repository. Papers: In the Margaret Bayne Price Papers, 1918-1969, 25 linear feet. Other authors include Carl Bert Albert. A finding aid for the papers is available in the repository. Papers: In the Sound Recordings Collection, 1890-1986, 1057 items. Subjects covered in the collection include Carl Bert Albert. An inventory for the papers is available in the repository. Papers: In the Southwestern Oklahoma Association Records, 1957-1959, 6 feet. Subjects covered in the papers include Carl Bert Albert. An inventory for the papers is available in the repository. Papers: In the John M. Virden Papers, 1951-1968, 4 feet. Correspondents include Carl Albert. An inventory for the papers is available in the repository. Papers: In the Lovie Whitaker Papers, 1953-1963, 0.1 foot. Subjects covered in the papers include Carl Bert Albert. Papers: In the Hugh Scott Papers, 1925-1983, approximately 146,200 items. Correspondents include Carl Bert Albert. Papers: In the Chester Bowles Papers, 1924-1982, 180.5 linear feet. Subjects covered in the papers include Carl Bert Albert. An unpublished finding aid is available in the repository. Albert, Carl B. Family record of John Henry Ware. Washington: N.p., 1972. ___. My Albert Line. N.p., 1976. ___. The Office and the Duties of the Speaker of the House of Representatives. [Washington: Government Printing Office], 1976. Albert, Carl, and Danney Goble. Little Giant: The Life and Times of Speaker Carl Albert. Norman: University of Oklahoma Press, 1990. Albert, Carl, and Kenneth R. Choate. Our Frantz Family: A Genealogical Record of the Descendants of Adam and Barbara Frantz, German Immigrants to Maryland. Baltimore: Gateway Press; McAlester, Okla.: Order from C. Albert, 1986. Grant, Philip A., Jr. "A Tradition of Political Power: Congressional Committee Chairmen from Oklahoma, 1945-1972." Chronicles of Oklahoma 60 (Winter 1982/1983): 438-447. Kotlowski, Dean J. "Limited vision: Carl Albert, the Choctaws, and Native American Self-determination." American Indian Culture and Research Journal 26 (spring 2002): 17-43. Memorial addresses and tributes in honor of Carl B. Albert, late a Speaker of the House and a representative from Oklahoma, One Hundred Sixth Congress, second session. [Compiled under the direction of the Joint Committee on Printing]. Washington: Government Printing Office, 2000. Palazzolo, Daniel John. "The Role of the Speaker of the House in the Congressional Budget Process." Ph.D. diss., University of Virginia, 1989. Ralph Nader Congress Project. 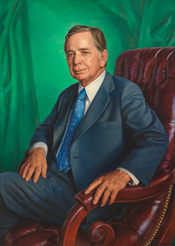 Citizens Look at Congress: Carl Albert, Democratic Representative from Oklahoma. Washington, D. C.: Grossman Publishers, 1972. Tully, Jeryldine. 1990. "Not Over the Hill. (Ex-speakers of the House at work) (No Sacred Cows)." Common Cause Magazine. 16, no. 1 (January-February): 9(2).